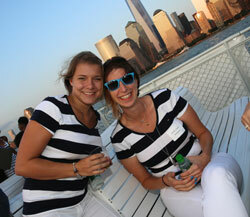 Beauty Press held its Summer Sunset Sail, which left from Pier 16 at Manhattan's South Street Seaport on August 30. Beyond complimentary manicures, cocktails and bites, music, and socializing, was a bevy of beauty products from hair products to nails and beyond. Sweeping views of the New York City skyline served as a backdrop of this beauty themed event. Zotos was on hand to spotlight its 180Pro collection, which includes Miracle Repair Damage Eliminator Treatment, Intense Reconstruct Shampoo & Conditioner, and Moisture Repair Shampoo & Conditioner. 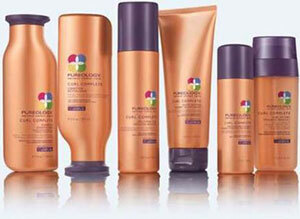 The products, which were designed to mend traumatized tresses, aims to repair up to 2 years of hair abuse. The 180Pro collection, which has 10 items in total, is infused with a magic formula that includes Pro-Peptide Complex-a combination of reinforcing protein peptides and conditioning agents that improve hair's strength and overall health. 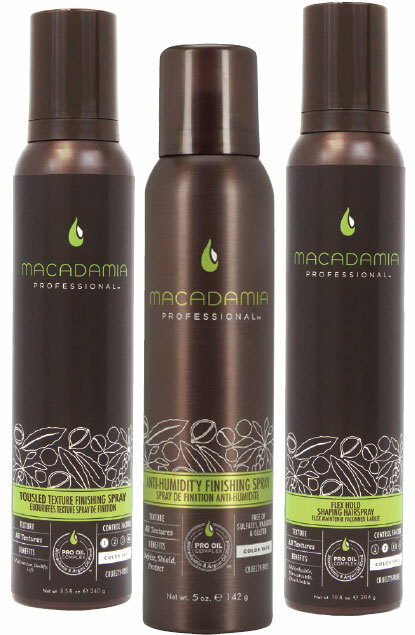 It also conditions the surface of the hair and reduces fiber-to-fiber friction to create movement and body. The other products, which round out the collection, include Intense Reconstruct discovery kit, Moisture Repair discovery kit, Heat Rescue, Rapid Restorer, Flawless Finisher, Frizz Resister, and Total Tamer. Available in September at Sally Beauty. 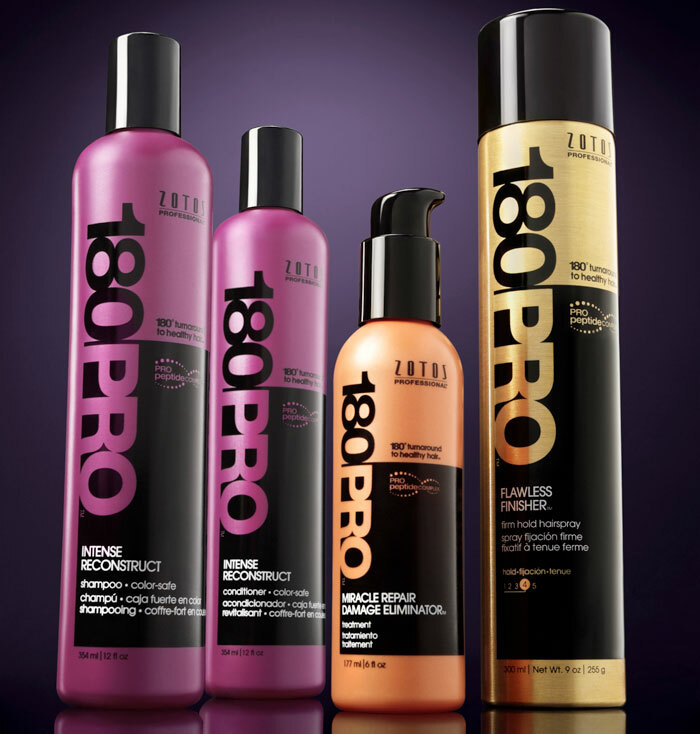 Zotos was on board to promote its new 180Pro collection.